I love that brad nailer. Glue, set pieces in place and [fatshoop] and it is done. 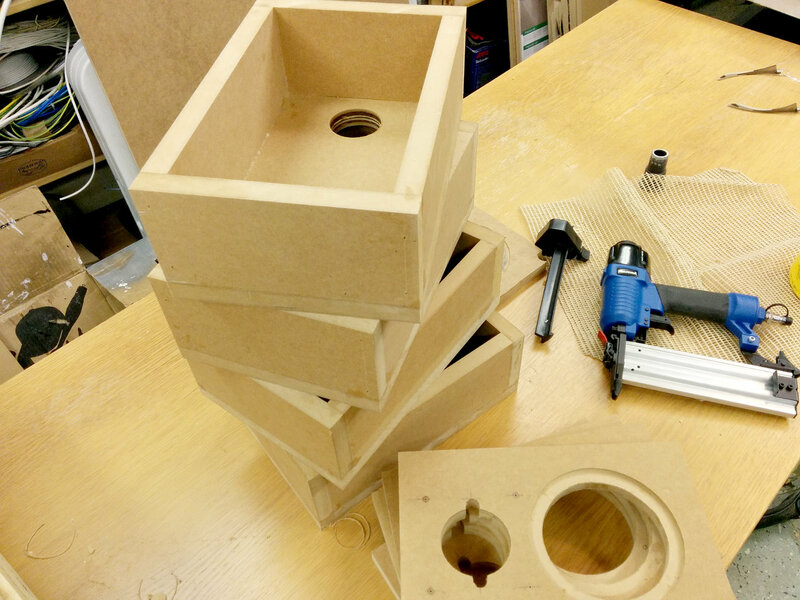 I glued up the back sides of the surround speakers. I wait putting on the fronts as I can’t nail those as I will be chamfering the edges and risk running the router into those nails. Instead they will just be glued and clamped. Also my back started to ache as the work table is too low. Better listen to your body and stop in time.